The wearing of long hair was a burning theme of address in the early Puritan pulpit. 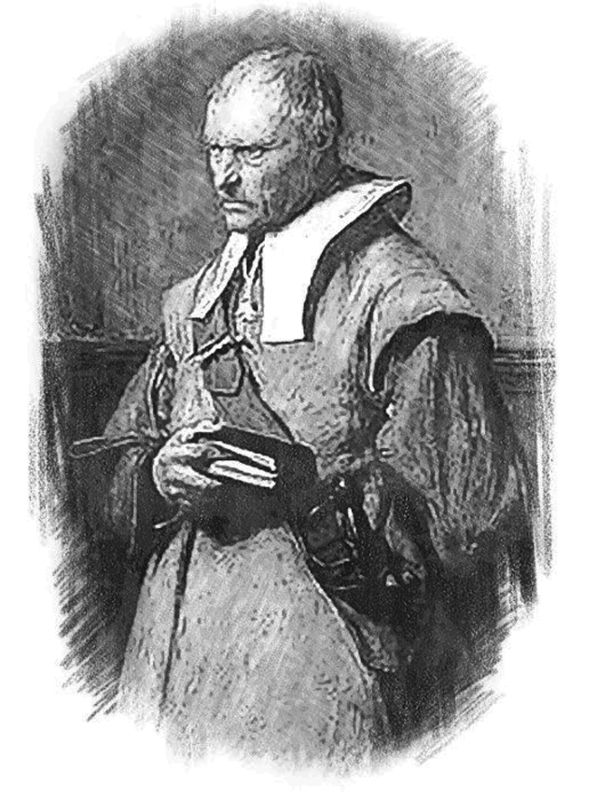 The clergy prescribed that the hair should by no means lie over the band or doublet collar, but might grow a little below the ear in winter for warmth. But the battle was already lost. In 1722, here in Ipswich on North Main Street, Patrick Farrin, chirurgeon, boldly hung out his sign, “Periwig-maker” and the gentlemen of Ipswich could have their wigs and keep them curled, powdered and frizzled as fashion required. The Ebenezer Stanwood house is on North Main St. across from the lower North Green. Ebenezer Stanwood listed his profession as “peruke-maker” and built his home at the lower end of North Main St. in 1747, next to the John Appleton house. Both houses still stand and Stanwood’s home was recently renovated.